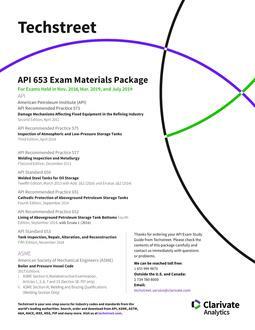 API Recommended Practice 572, Inspection of Pressure Vessels, Fourth Edition, December 2016. 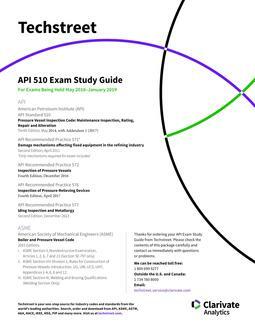 API Recommended Practice 576, Inspection of Pressure-Relieving Devices, Fourth Edition, April 2017.
ii. ASME Section VIII-Division 1, Rules for Construction of Pressure Vessels, Introduction, UG, UW, UCS, Appendices 1-4, 6, 8 and 12.
iii. ASME Section IX, Welding and Brazing Qualifications, welding only.